Bring your digital photos to life by printing them in a luxury Photo Book. 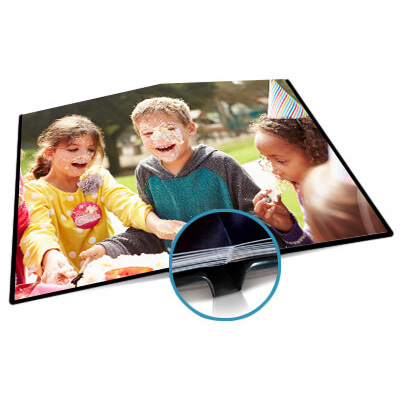 They’re a great way to capture special events such as weddings, anniversaries, birthdays and many more. You can customise your Photo Book online with text and choose from an array of decorative backgrounds, borders and embellishments to create a lasting memento or gift. You can collect in-store at selected FUJIFILM Imagine stores in Ireland or if you want to send it as a gift, we offer worldwide delivery to an address of your choosing. Space for up to 150 photos. The more you add the smaller your photos will be on each page. Select a background to suit the theme of your photobook e.g. classic, baby, wedding, birthdays etc.